So you've had enough of the rate increases with the ACA plans. Years of increases up to 40-50% has brought you to a point of total frustration. If you're like many people now who don't qualify for a tax credit, you've looked online for an alternative to ACA and Obamacare plans. We don't want to pay the 2.5% of gross income penalty. Short term plans won't work there and they're capped for how long they can go. Critical illness/Emergency medical plans won't help either. Plus...they leave you exposed to really big bills which is the whole reason to have health coverage anyway. If you've been online, you might stumble across health sharing plans. 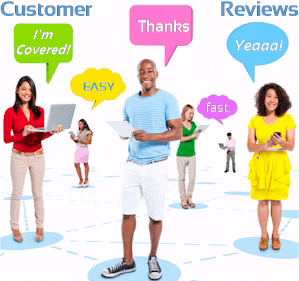 Which is the best health sharing plan? Lots of good questions so let's get to the answers. Let's start here to really understand the option. First, health sharing plans are NOT health insurance. Health insurance plans have changed quite a bit since 2014 with the ACA law or Obamacare as it's called. Health sharing plans were carved out in the ACA law as an exemption from the requirements of the law. Basically, the plan members would be able to avoid the mandate or tax penalty with plans that didn't meet the ACA laws. They are not insurance but a membership. The members agree to share health care costs with the other members and the company manages this whole process. One of the health sharing companies (we'll get to that later) operates similarly to carriers but it's a different way to address health care cost altogether. The companies have different ways of operating and establishing eligibility. Some are very strict while others are much less so. We tend to like the latter for many reasons we'll get into later. Again, health sharing plans are a different approach to addressing health care costs than insurance. We've covered the big differences in our Guide to AlieraCare article but here are the key considerations for real people comparing them. If you get a tax credit on the ACA marketplace, that's probably going to be hard to beat depending on how much it is. You can run your ACA quote here. The tax credit really swings things rate wise these days. If it brings the cost down close to or below the AlieraCare $7500 premium plan, that's going to be the way to go. If you're still here researching health sharing plans, the tax credit is probably not an option. So...let's look at the second concern. Generally, people in good health are attracted to health sharing plans. More aptly, people with health issues are attracted to the ACA health plans. They're more comprehensive by law. The 10 Essential health benefits of ACA plans are required. There's also no waiting period for pre-existing conditions. Some health sharing plans will decline coverage based on health. AlieraCare will approve based on health but have waiting periods for pre-existing conditions. Also, health sharing plans will not work as well for maternity or rx. Some carriers (AlieraCare) have a limited maternity benefit on the higher option but if maternity is out there in the ether, that's not enough coverage. Some health sharing plans will have an RX card which is essentially a discount card for medications. Again, if you have existing health issues, it may pencil out to get an ACA health plan even if it's more expensive. The health sharing plans (depending on company) can address the bigger bill fine with up to $1M lifetime maxs and $500K per incident maxes. We can always change to an ACA plan at the end of the year during open enrollment or if we have a Special Enrollment trigger such as marriage, birth, loss of group coverage, or a move. We're happy to walk through your situation at 800-320-6269 or by email. You can also check out the AlieraCare brochure here and Member's Guide here. You can see that they all meet the requirements for health sharing companies but have very different ways of doing it. Some are very strict in terms of how members must live their lives. Others (AlieraCare in particular) are very flexible. This is important for members. 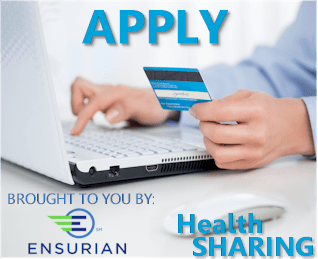 Which health sharing plan is the best? $1M lifetime max and up to $500K per incident max (similar to old coverages before ACA law). 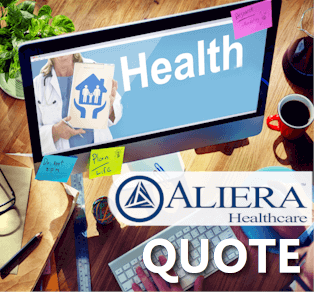 We like AlieraCare for one reason. 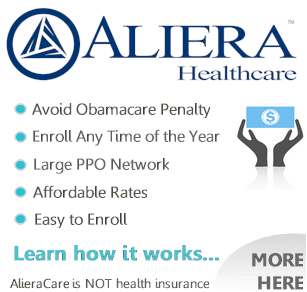 Of the 6 companies that allow you to avoid the tax penalty and save on premium (if not subsidized), AlieraCare will be the most familiar to people. Learn about how to tell if a healthcare ministry plan is worth it here. It's more similar to what people have had in the past. 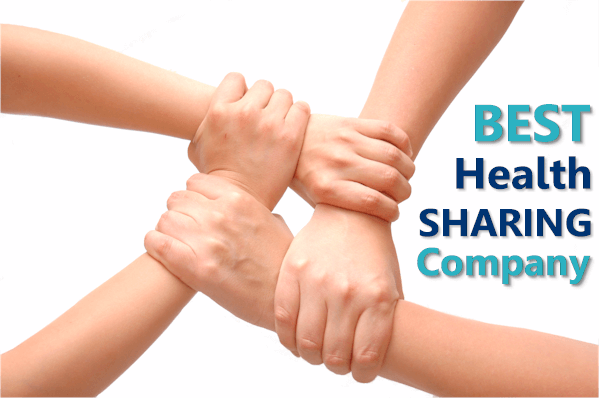 The other health sharing companies have some major drawbacks in our opinion. Everything from really strict requirements on how you live your life to serious drawbacks in what is covered and how medical expenses are paid for. To some extend, we're being self-interested. We want the option which will result in the least amount of problems for our clients (and ultimately us). What works for our clients ultimately works for us. 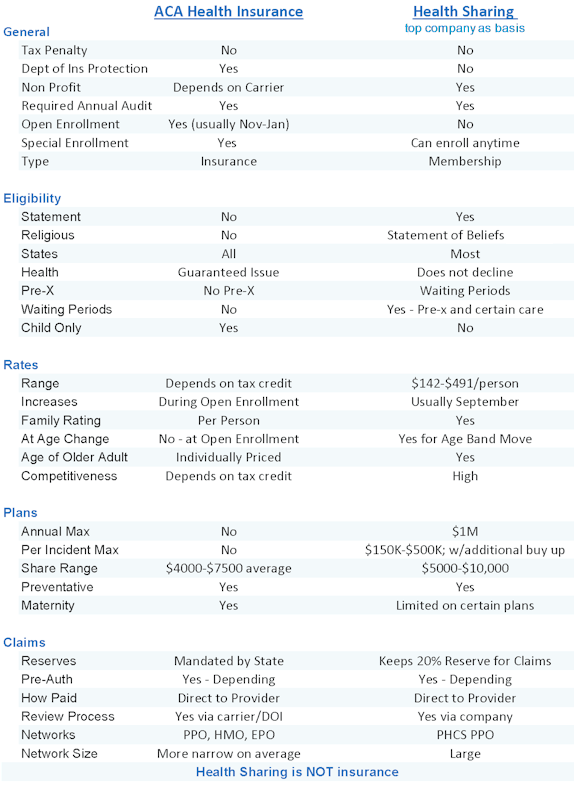 Make sure to check out the guide on what AlieraCare is so you understand how it's different from health insurance. There's also the question of scale. When dealing with medical expenses, the more people you can pool together, the better. If you have 1 person with $1M in covered expenses, you need lots of healthy people to smooth out that big bill. This is as true for health sharing as it is for insurance (two very different ways to address health care costs - See Guide). AlieraCare had added a quarter of a million members in a few years and they're growing rapidly. This just supports a healthy membership which is probably our most important consideration. Health sharing companies are not backstopped by the Department of Insurance (since they are not insurance). The financial stability of the company is incredibly important. We want to go with the big player in this case. This financial security brings up another point. This is reason we think Aliera wins the entire health sharing market. They keep 20% of monthly dues for eligible expense payment reserve. We've been in the health market for 20+ years and we've seen companies come and go. The bulk of the other health sharing companies do NOT have a reserve. Well, that's not pretty since the health sharing companies do not have DOI protection. For this reason alone, it's only AlieraCare Seriously. For years now, people have called who are unable to afford health coverage (no tax credit) but don't want to get hit with the penalty. There wasn't much we could do for them. It's very depressing to have no options like that. We studied the health sharing plans and whether they might fit the bill. There were too many issues with most of the other plans for most clients. Only AlieraCare really seemed to get it right. Coverage - the right blend of deductibles for the market with good back-end coverage for big bills plus 1st dollar coverage for office visits, labs, and preventative. Familiarity - Use of large PPO network and reimburse directly to doctors/hospitals. This makes them the right fit for people interested in health sharing. We're happy to walk through any questions you have on AlieraCare or health sharing in general. It's a new product to most people so there will be questions!